Jordan Rodgers won JoJo Fletcher's heart on The Bachelorette Season 12 finale, which was a tad anti-climactic given that he was such a clear front-runner from the moment he nabbed that First Impression Rose in the premiere. But as many viewers quickly realized, it was hardly Jordan's first time in the spotlight. In addition to being the brother of Green Bay Packers quarterback Aaron Rodgers (who doesn't currently speak to Jordan, and DON'T ask him about it), Jordan had a professional football career of his own from 2013-2015. Lest you question whether this was enough star wattage to warrant his (now allegedly inactive) account on private, membership-based celebrity dating site Raya, allow us to remind/inform you of his third brush with fame: A cameo in Pitch Perfect 2. In case you missed the Elizabeth Banks-directed sequel to the 2012 a capella extravaganza, a bit of context: The Barden Bellas participate in a "riff-off" in which they sing mash-ups to compete against a bunch of other a capella groups. One of these groups is the Green Bay Packers, for some reason. Since Jordan never played for the Packers, we can assume that Aaron hates movies about singing as much as I do and let his more camera-thirsty brother go in his stead. Can you locate Jordan in the scene below? 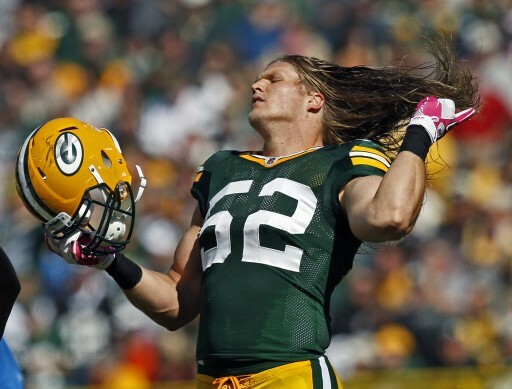 He's the one with the great hair—oh, wait, sorry that's actually Clay Matthews. Jordan's the one with the tall, floppy hair. He's relegated to the far left, sure, but Jordan's there, doing important hand-gesture work as Clay murders Destiny's Child's "Bootylicious." Is this the last we'll see of Jordan's acting talent? Was he acting the entire time on The Bachelorette Season 12? We can't answer either of those questions, but there's a good chance you'll be able to watch him on TV a lot within the next year — in addition to all of the Bachelorette promo, he's reportedly taken a job at ESPN's SEC (Southeastern Conference) Network. The gig will probably involve only minimal singing, though.